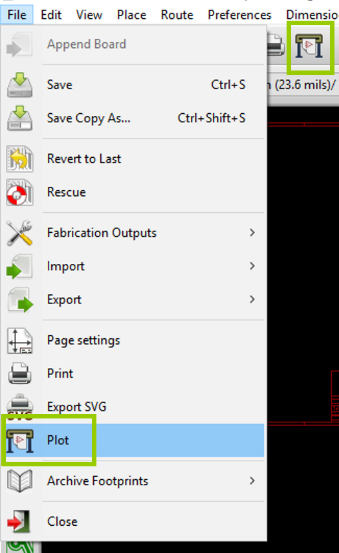 In KiCad, open your PCB design file and go to File -> Plot, or find the plot icon on the main interface. This will bring up the plot window. 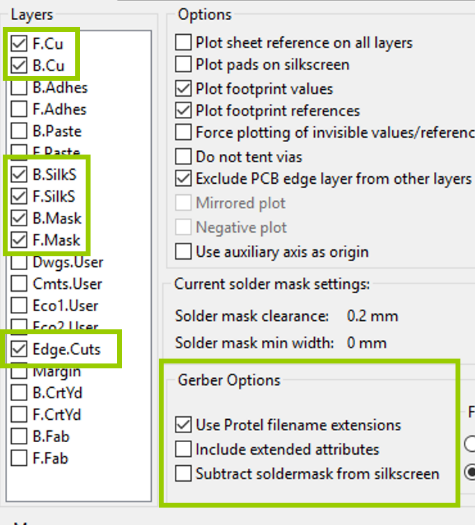 Select an output directory for your Gerber Files and select the following layers and options. Please pay attention to the required layers, there should be 7 layers in total for typical two layer boards. If your boards are single or multi-layered, please select the necessary layers. Please note that all mechanical elements such as cut-outs and v-cuts should be drawn in the Edge.Cuts layer. If you need the paste layers for stencil orders, please check B.Paste and F.Paste as required. 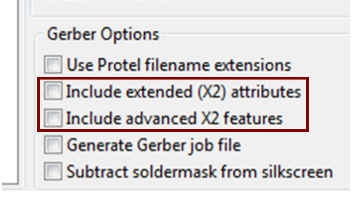 Also, please ensure that you do not select the Include extended attributes option under Gerber Options. This will effectively convert the format of your Gerber files to X2, which not all our equipment supports. Click Plot and confirm that all the Gerber files were generated successfully. To generate the drill files, select the Generate Drill File button and this will open a new window. Click Drill File on the right and this is will export the drill file in Excellon format in your chosen directory. We suggest you select the option to Merge PTH and NPTH holes into one file, otherwise KiCad will separate plated and non-plated holes into two drill files, and if one is missing, there will be holes missing on your boards. 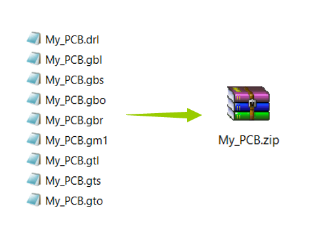 Please check that you have all 8 (or 9) files then zip them into a .zip or .rar archive file. 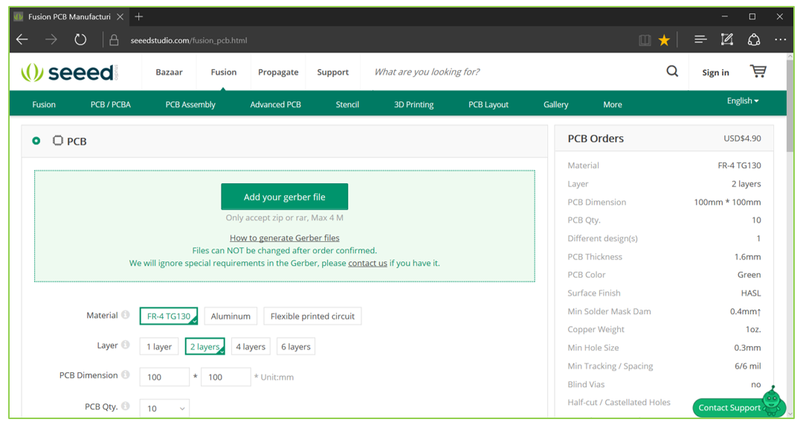 You can use this to place the order on the Seeed Fusion PCB order page. We recommend that you give the files a quick check using the online Gerber Viewer before confirming the order. - Incorrect Format: We prefer the Gerber files to be in RS-274x format over X2 since all our equipment are compatible with RS-274x. However, in standard versions of KiCad, it is not obvious whether the files are being exported in X2 or RS-274x format. In the Plot window, by selecting Include extended attributes, this converts the files into X2 format and cannot be imported into our standard CAM software. Please ensure you do not select this option. In some versions of KiCad, this is mentioned but please ensure that all X2 options are unchecked. 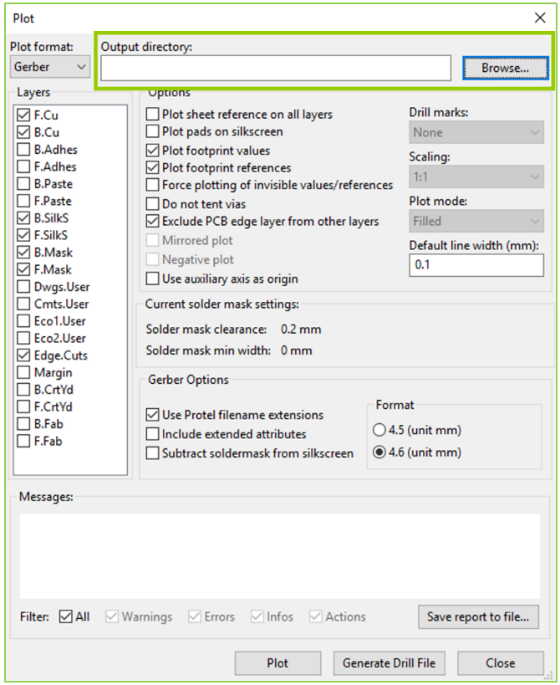 - Missing mechanical holes: Since KiCad has the option to export the plated and non-plated drill holes separately, it is easy to forget to include them both in the archive. If the PTH drill file is missing, this is easy to catch. But if the NPTH drill file for the mechanical holes is missing, it can be easy to overlook. 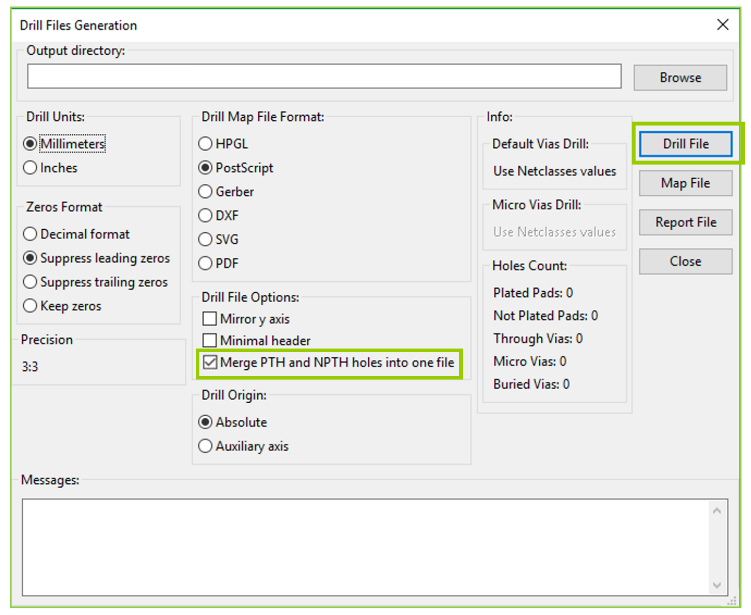 To avoid this issue we suggest selecting the Merge PTH and NPTH holes into one file option. - Drill holes do not match the rest of the layers in the Seeed Fusion Online Gerber Viewer: If the drill holes appear bunched up in one corner or are much larger than the other layers then this is likely caused by a mismatch in the drill file and Gerber file units. 99% of the time this will not affect our CAM engineers's ability to view the files correctly when sent for manufacture - they will change the units manually until they fit the Gerber files but the Online Gerber Viewer cannot do this. If you are experiencing this problem, changing the Zeroes Format during Drill File Generation will likely fix the problem. Decimal format is recommended for most cases.